West Indies wasted a steady start to slip to 86/3 at lunch. 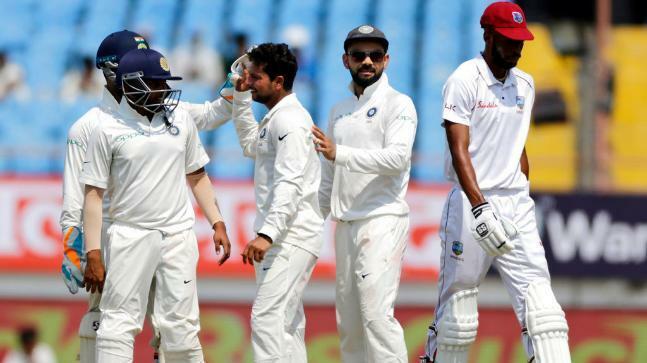 West Indies wasted a steady start to slip to 86/3 at lunch on the opening day of the second cricket Test against India at the Rajiv Gandhi International Stadium here on Friday. Shimron Hetmyer (10 not out) went back undefeated after pacer Umesh Yadav removed Shai Hope (32) just at the stroke of lunch, thus ending the flourishing 34-run third wicket stand. 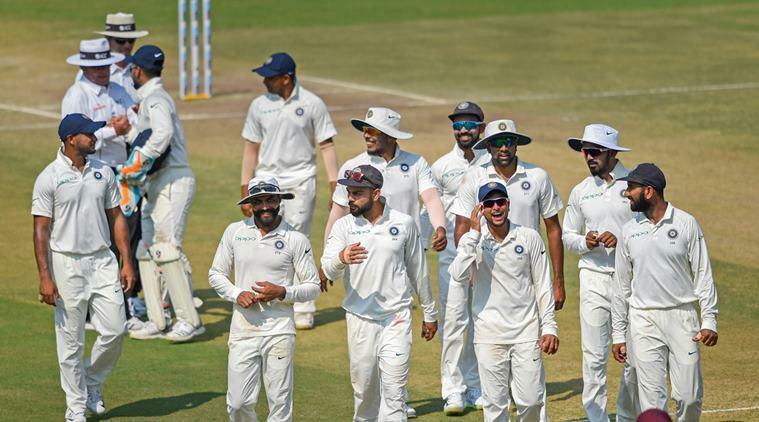 Electing to bat after winning the toss, the tourists made amends of their lacklustre batting effort in the first Test at Rajkot, with the opening by Kraigg Brathwaite (14) and Kieran Powell (22) showing a lot of promise in their brief 32-run partnership. India were handicapped early in the innings with debutant pacer Shardul Thakur injuring his groin midway into his second over and walking off before off-spinner Ravichandran Ashwin completed the over. Brought back for another short spell, moments before the break, Umesh managed to break the stand with the wicket of Hope, who survived one against the same bowler, but wasn't lucky for the second time as the visitors lost both their reviews. Brief Scores: West Indies 86/3 (Shai Hope 36, Kieran Powell 22; Ravichandran Ashwin 1/7, Kuldeep Yadav 1/21) vs India.